Sylvia solitaria Lewin, 1808, Parramatta, New South Wales, Australia. 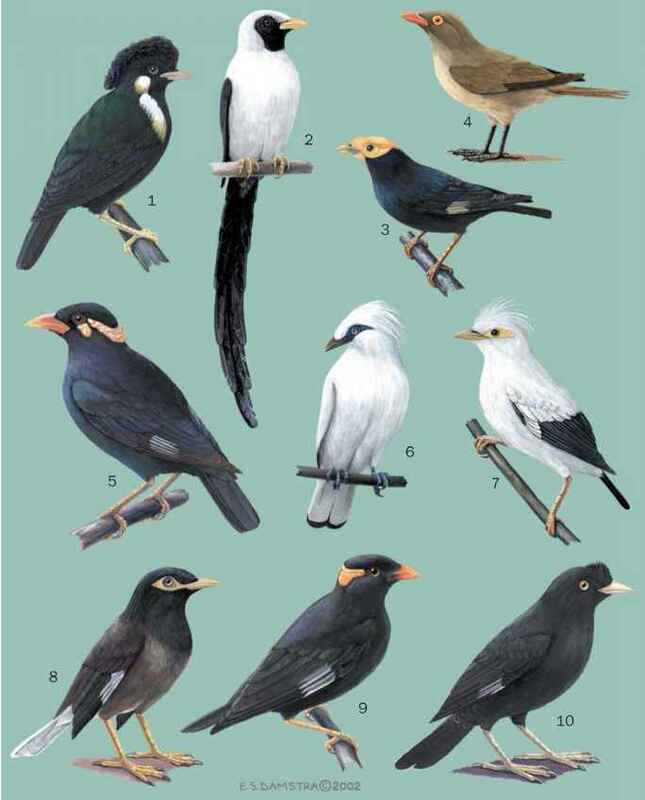 English: Origma, rock robin, cave-bird; French: Origma des rochers; German: Steinhuscher; Spanish: Origma Piedra. 5.5 in (14 cm); c. 0.4 oz (12 g). Brown back with reddish brown underparts. Very restricted range in sandstone and limestone country around Sydney, New South Wales. Scrubby forest and heathland, especially near bare rock faces and cliffs. Solitary, but easily seen. Song is described as repeated "good-bye," also penetrating, rasping and twittering calls. Sedentary. Typically feeds on rock surfaces or bare ground, including parking areas, etc. Gleans insects, and other arthropods, and occasionally seeds. Sometimes takes insects from bark or captures them in flight. Breeds August to December. Nest is placed in a cave, or cleft in the rock, but also in man-made structures such as mineshafts. It is made of rootlets, bark, grass and moss and is spherical with a side entrance. Three or four white eggs.